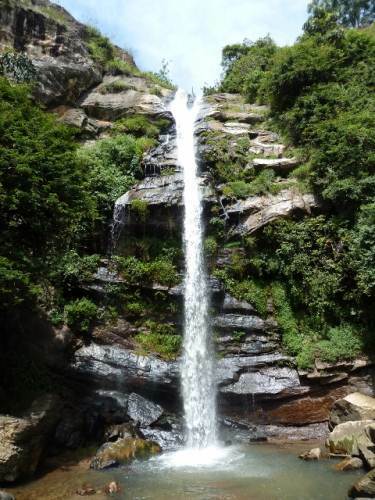 This was a hastily organized trip as my initial plan was to do “eli hatha”, but inability to do it in 1 day forced me to abandon it 2 days earlier. 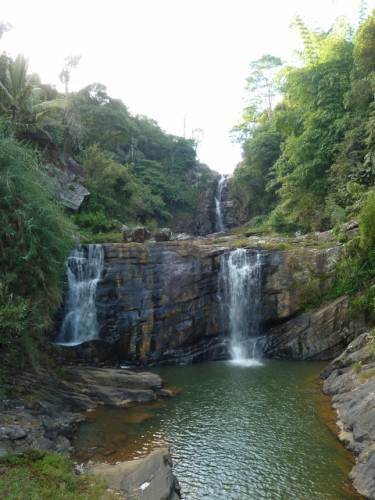 Since the weekend was free I was determined to go somewhere and my initial idea was the knuckles but inability to find accommodation resulted in dropping that too. 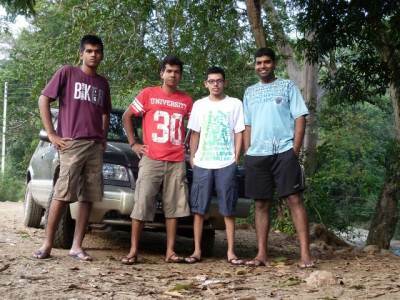 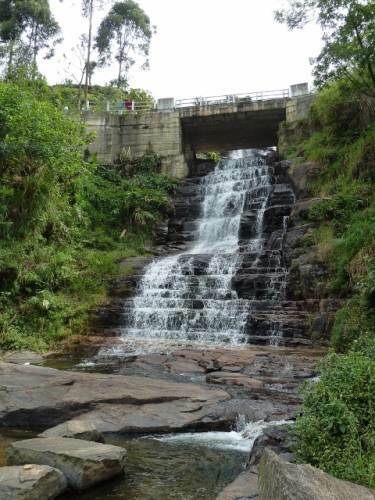 With 1 day to go we decided to go waterfall hunting knowing that the four of us would be able to find lodging in Nuwaraeliya. 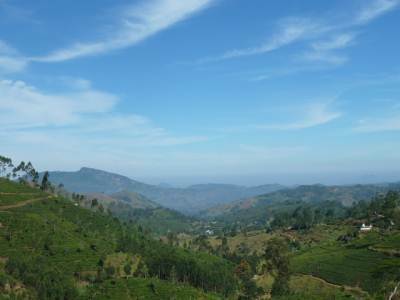 We were making slow progress as we spent more time enjoying the stunning views that was spreading before us as we gained altitude. 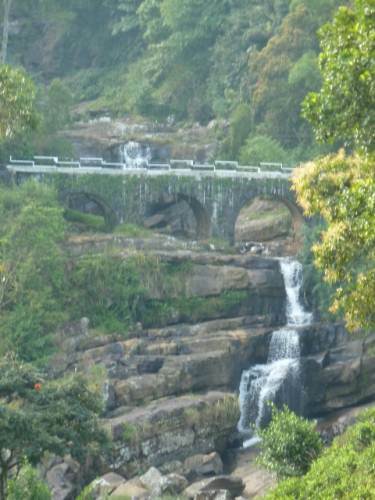 We reached nuwaraeliya at around 4.30pm and after a quick lunch we headed to lovers leap falls. 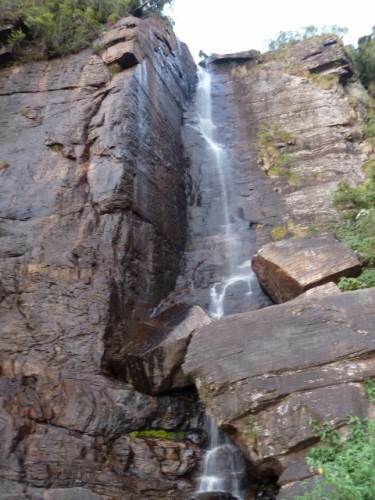 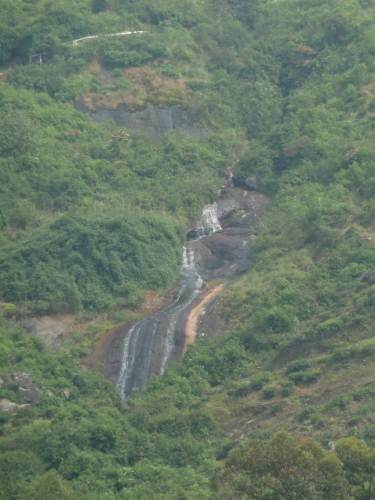 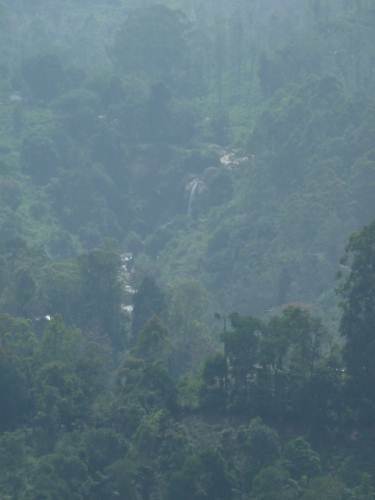 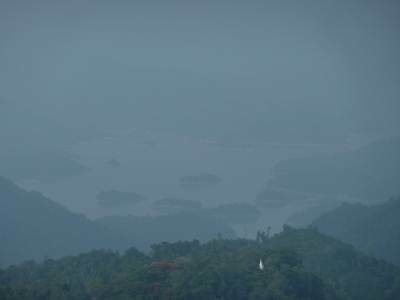 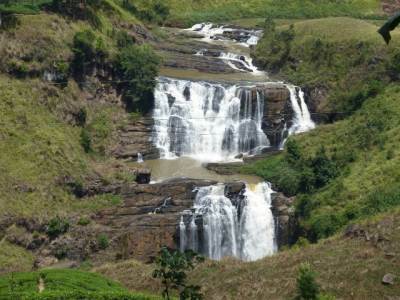 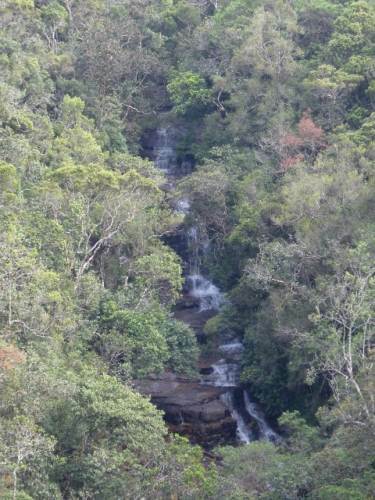 Although nuwaraeliya experienced heavy rains a couple of days earlier lovers leap falls was just a trickle. 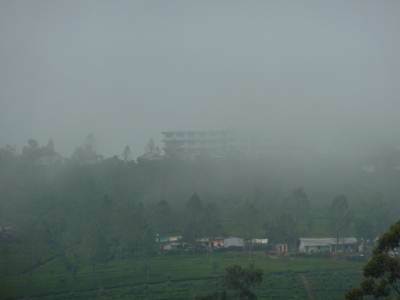 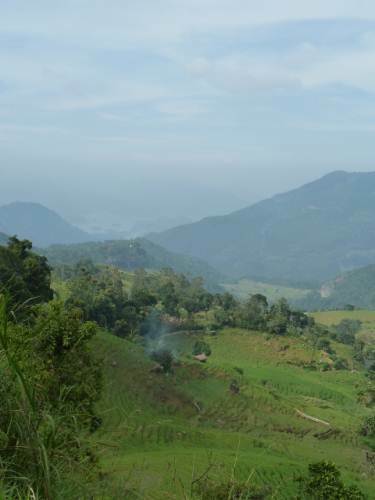 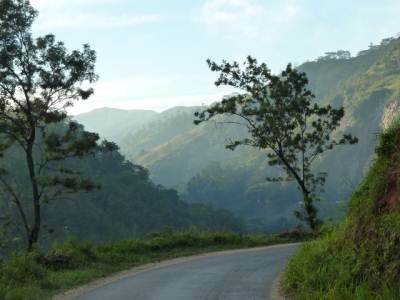 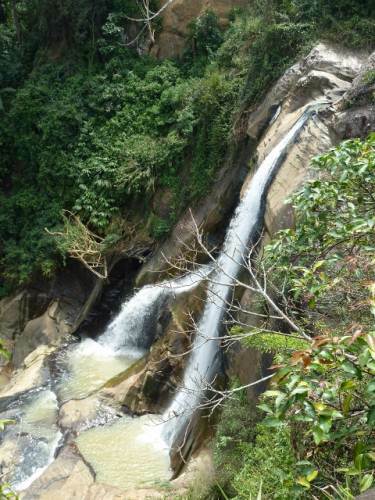 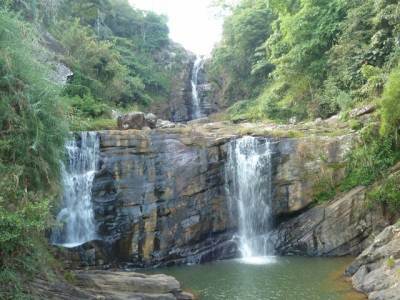 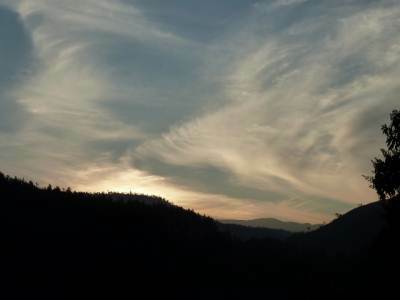 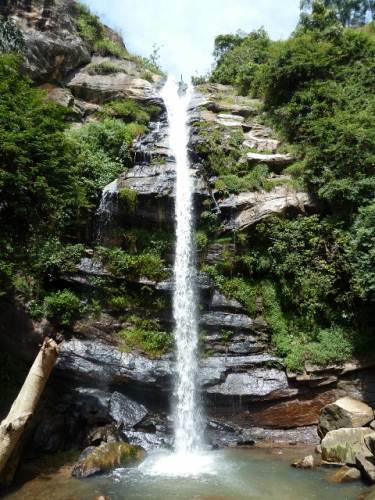 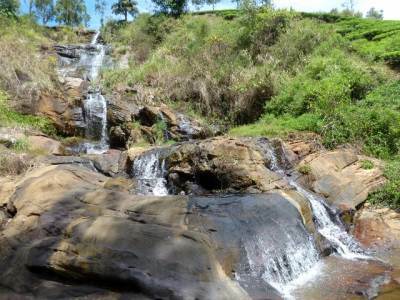 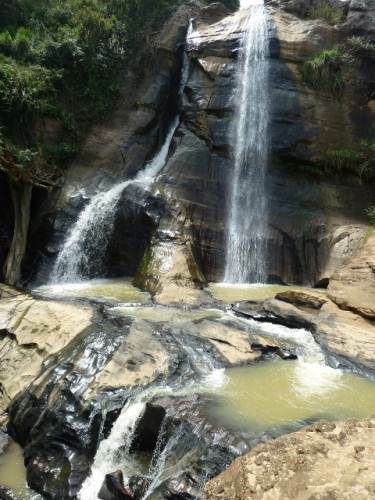 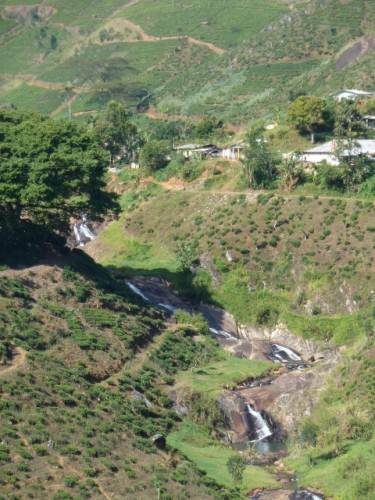 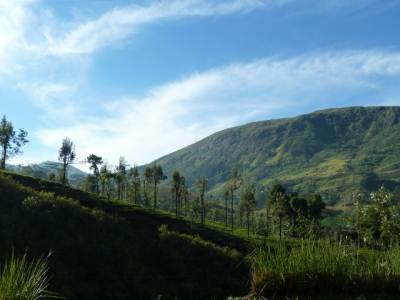 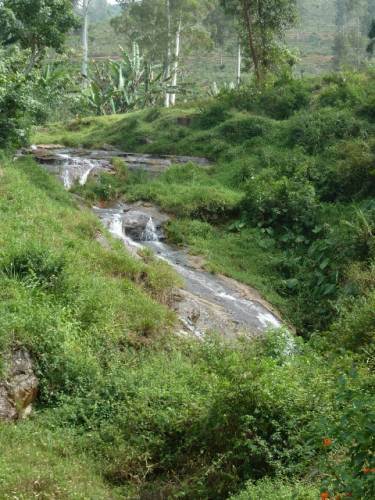 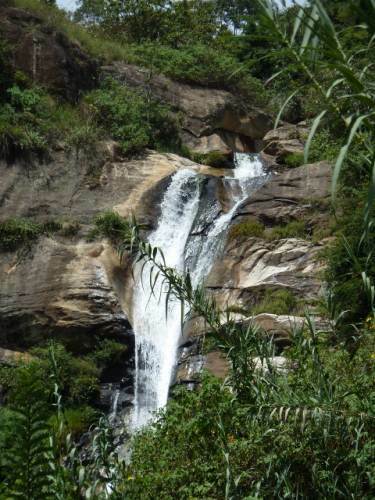 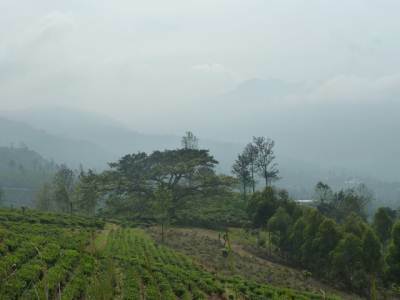 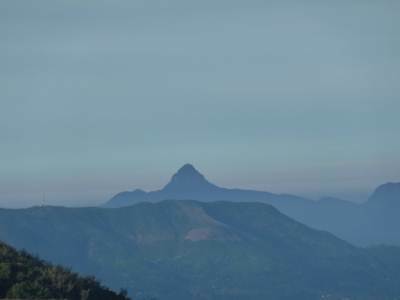 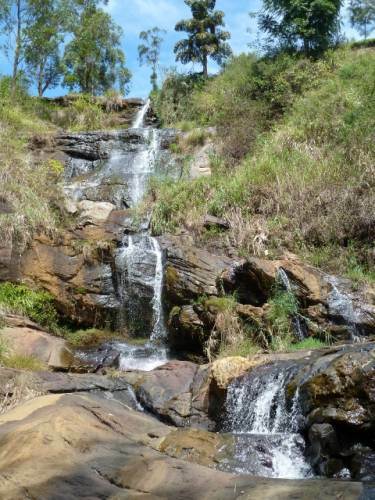 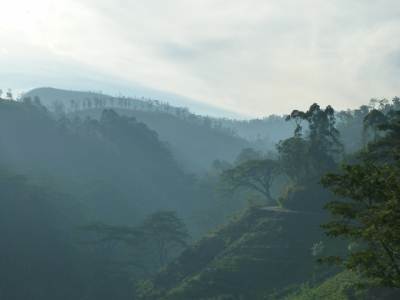 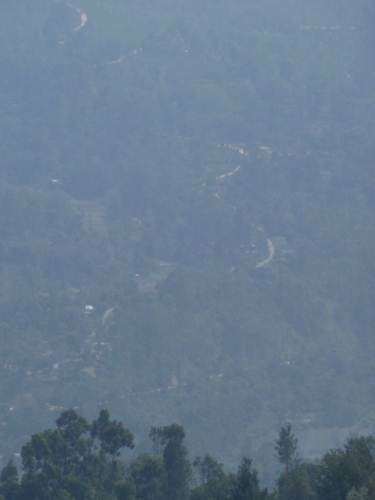 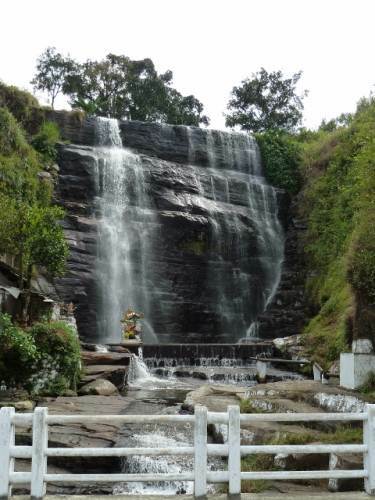 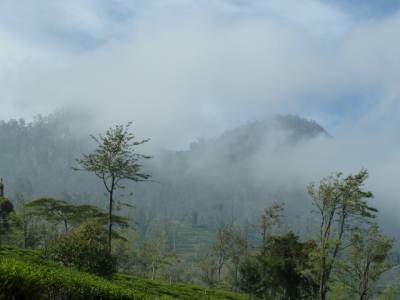 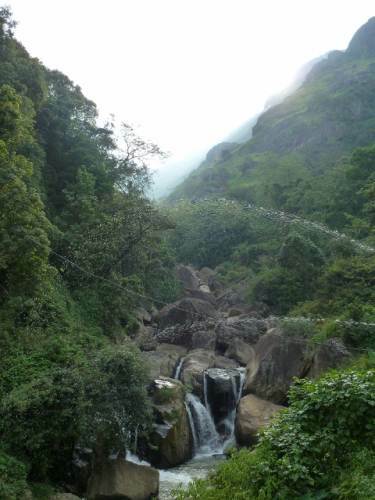 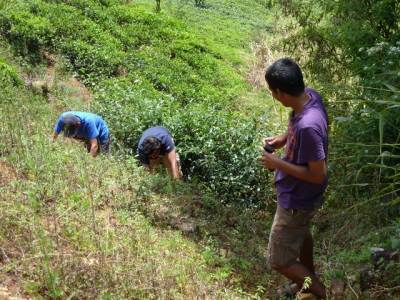 At around 9.30am we left Nuwaraeliya heading towards welimada with the intention of visiting “Rawan Ella” and “Manawela falls” which are situated in the uva-paranagama area. 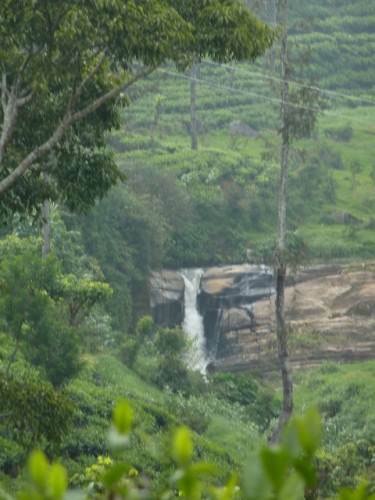 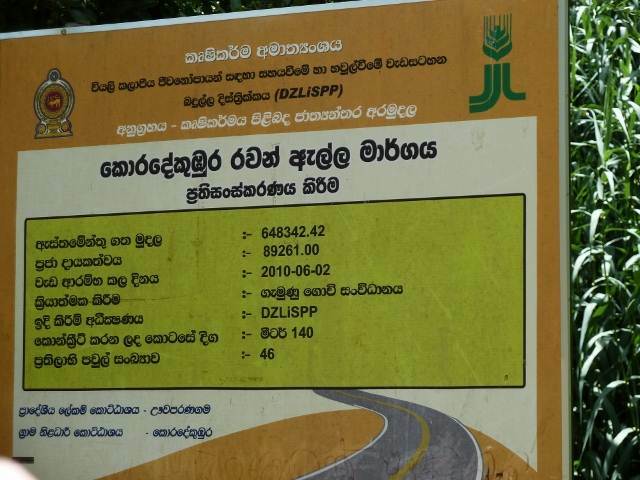 We reached “ambagasdowa” junction and asked for directions towards Rawan ella but nobody knew of such a waterfall (everyone we asked laughed at us saying what we were looking for is at ella). 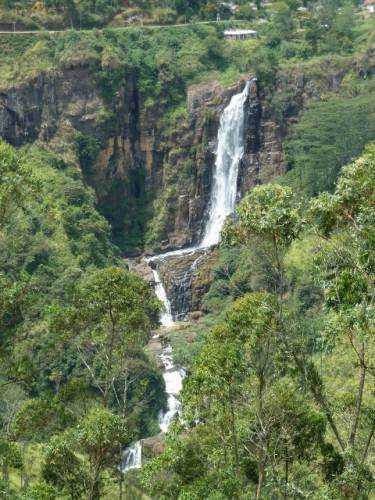 We were determined to somehow visit the waterfall and seeing the falls we were looking for was close to “bomburu ella” according to the survey dept. 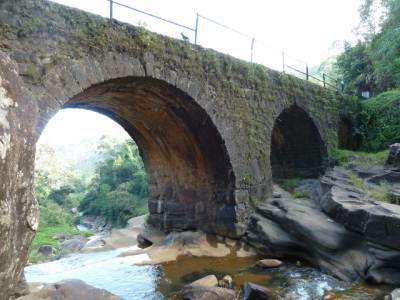 map we drove towards uva-paranagama..
We hit the road again heading towards udapussellawa and was amazed as to how the climate changed the moment we crossed the district boundaries of Nuwaraeliya and Badulla. 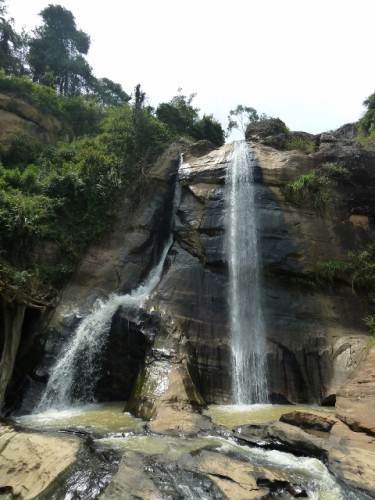 After a refreshing bath at belihuloya(raja mawatha) it was time to head back home and into the real world after a wonderful journey searching for waterfalls.